The one thing every mother wants is for their baby to remain healthy. In order for that to happen using air purifiers for babies is one of the best ways to keep toxins from getting to your baby. Air purifiers purify the air of toxins, bacteria, and viruses that can make babies ill. Using one in your baby’s room will keep them healthy and save you a ton of worry. When babies are born, their immune system as well as some of their organs such as the lungs is not at its strongest. Nursing helps keep their baby’s immune system strong enough to fight off many airborne pathogens (a product that can cause disease) that might otherwise make them sick. If you don’t nurse, then it leaves their little bodies open to these airborne pathogens such as bacterium, viruses, and particularly airborne items that can cause allergies or asthma. Air purifiers for babies also eliminate dangerous smoke, pollen, mold spores, dust, and other air born viruses, bacteria, and carbons from the air. It helps babies start their lives healthier, especially if they are premature and their lungs have not fully developed. Even full turn babies may not have lungs and an immune system strong enough to fight off every bug that comes their way. Using a pet dander air purifier cleans the air around them, so these bugs don’t get a chance to affect them. It also weeds out toxins from cleaning products, pollen that may enter the house, and other chemical residue in the air. Air purifiers give babies a fighting chance of health instead of being sick all the time. It also helps you since a healthy baby will sleep through the night and be happy instead of cranky. It takes up to 6 months for a baby to develop a strong immune system to fight off airborne particles that can weaken their bodies. Using air purifiers for babies also provides a white noise so unexpected noises such as a dog barking or the door bell don’t wake them up while they nap. 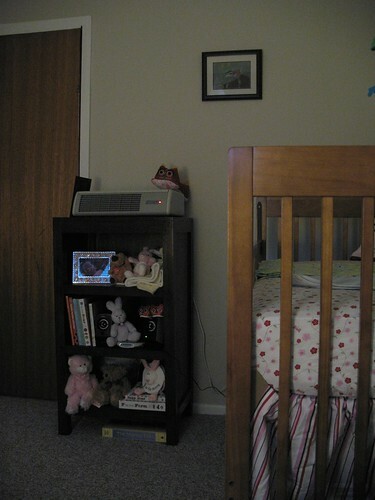 The best way to use air purifiers for babies is to start using it a couple of weeks before the baby is born. It will eliminate the paint fumes and other air particles from the room before the baby arrives. They can be found for as little as $30 to over $200, but you get what you pay for with an air purifier. However, even the least expensive is better than not have anything to protect your baby. You’ll have a much happier and healthier baby when you purify the air. Is Secondhand Smoking Hurting Your Children?